Lobbyists Would "Go to War" Over Warren? Let 'Em. 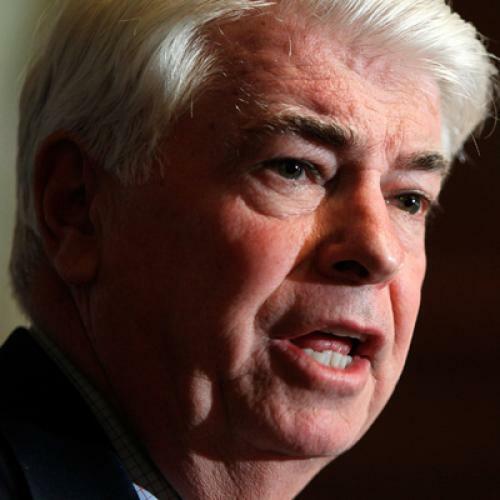 Senator Chris Dodd continues to warn that appointing Elizabeth Warren to run the new consumer protection agency could invite political trouble: "She's qualified, no question about that," Dodd told TPM's Brian Beutler. "The question is whether she's confirmable. ... The issue is [if] you can't confirm somebody, if you go six or seven months without someone in that job, you've got a problem." Dodd isn't the only one who thinks confirming Warren will be a tough. A senior Senate aide e-mails with similar sentiments: "I think it will be an uphill climb. The banks, Chamber, Auto dealers, NFIB, etc., will go to war over her." But this aide, unlike Dodd, sees a political upside: "It's not the worst fight for us to have. She is not Berwick--a knight with a million bad quotes attached--she’s folksy, populist, and tough." It's quite possible that, as my colleague Noam Scheiber reported, bank lobbyists in particular might hold their fire on Warren because they see no viable alternative. But suppose either the banks or other lobbyists did mount a major effort to block Warren. And suppose, further, that they were clever about it--cloaking their opposition in something other than naked self-interest. They could say that appointing Warren would chill economic activity or make it hard for middle-class people to get credit--in other words, that she'd be bad news for Main Street, not Wall Street. I just have a hard time believing the argument would convince many people. Like the aide says, Warren is a charismatic, compelling figure whom the media and much of the public already knows as a crusader on behalf of consumer issues. And while there's no way to be sure, a drawn-out filibuster of Warren's nomination--i.e., the "six or seven months" that worries Dodd--seems more likely to hurt the Republicans than Democrats. This isn't climate change or health care, where the policy details are maddeningly complex and the public is ambivalent. This is a simple question of whether to appoint a qualified crusader to protect consumers from abusive credit practices--an issue on which, broadly speaking, the public has clear and strong feelings.